Wah Seong has entered a JV agreement with Saito Separator Limited (SAITO) to establish a new JV company with an equity split of 51:49 to manufacture accessories and equipment such as disc bowl centrifuge and decanters in the palm oil industry. We are positive on collaboration in the long run tapping on SAITO’s technical expertise and distribution network. However, we maintain our earnings estimates in view of minimal initial contribution from the new JV company. All in, we keep the HOLD call on the stock with unchanged TP of RM1.26 pegged to 11.0x FY19 PER. Wah Seong announced that its indirect wholly-owned subsidiary, PMT Industries Sdn Bhd has entered into a joint venture agreement with Saito Separator Limited (SAITO) to incorporate a new JV company to manufacture accessories and equipment such as disc bowl centrifuge and decanters in the palm oil industry. 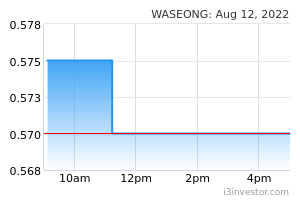 Wah Seong shall subscribe to a 51% stake in the newly formed JV company with the remaining stake to be held by SAITO. Not a new partner. We are positive on this JV as it helps to expand its existing product range for its renewable energy division. SAITO is a leading manufacturer of separators in Japan since 1926 with proven delivery track record in Southeast Asia, China and Russia. Note that Wah Seong has collaborated with SAITO since 2013 to manufacture decanter, equipment that is used in pam oil mills for separation of sludge, oil and water during dewatering process. Under the brand name of PMT-Saito, Wah Seong managed to penetrate the decanter market in Malaysia and Indonesia. Therefore, the new JV will enable Wah Seong to leverage on SAITO’s capability to (i) supply key components, (ii) provide technical assistance, (iii) procure products from Malaysia to Japan and vice versa. We understand that Wah Seong is likely to tap on its existing facility at Mukim Teluk Panglima Garang and thus, minimal new investment is needed for such JV. No changes to our earnings forecast. We believe the initial contribution from the proposed JV could be insignificant in the near term. Therefore, we maintain our earnings estimates pending 2Q18 results announcement end of the week. Maintain HOLD, TP: RM1.26. Wah Seong’s current order book stood at RM2.51bn as of end-1Q18, of which 85% is from O&G segment. NS2 takes up significant portion of its order book and will drive the earnings of the subsequent quarters till 1H19. Meanwhile, its tender book is at c.RM5.8b as of end-1Q18 in which bulk of it from the O&G projects from oversea. 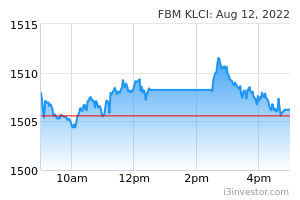 Maintain HOLD with unchanged TP of RM1.26 pegged to unchanged 11x FY19 PER.